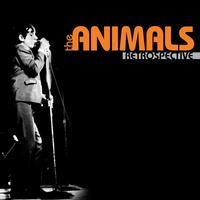 A collection featuring all of the chart singles by the Animals! Includes "House of the Rising Sun," "Don't Let Me Be Misunderstood," "We've Got to Get Out of This Place" and more! For those who have suffered through not-so-great to just plain terrible compilations, this is a compilation that you can trust, and is well done, plus pretty comprehensive. Yes, you get "House of the Rising Sun," "Don't Let Me Be Misunderstood," and "We've Got to Get Out of This Place." But for fans who see the Animals as the second best English R&B group of the British Invasion after the Rolling Stones, this 22-track collection deserves prime consideration if no other reason than all of the tracks come from the ABKCO masters and utilize Direct Stream Digital (DSD) — which is what ABKCO successfully used in the Rolling Stones albums reissued in 2003. Best Animals I ever heard ! Instruments and sounds I never heard before, even listening to the words and how much clearer they are. Outstanding in my opinion.